Visitation will be Sunday, January 20, 2019, 5:00pm to 7:00pm at Behrens Wilson Funeral Home, 632 St. Francis St., Rapid City. The funeral will be on Monday, January 21, 2019, 1:00pm at Crossroads Wesleyan Church, 1823 Sheridan Lake Rd., Rapid City. In lieu of flowers, please send any donations to the Hill City Lion’s Club. Carl Edward Jefferson, 71, of Hill City, passed away on January 15, 2019 in Hill City. Carl was in born in Nampa, Idaho to William Jefferson and Juanetta (Faecke) Jefferson on April 20, 1947. Carl graduated from Rapid City High School in 1966. He married the love of his life, Loretta, who he often referred to as his girlfriend, on May 28, 1977 in Rapid City, South Dakota. 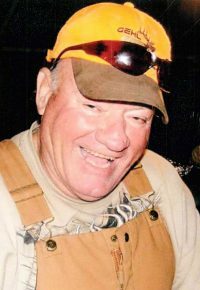 In his early years, Carl loved dirt bike racing, boxing, bull-riding, as well as hunting and fishing with his dad and brothers, which began his love of the great outdoors. Later, he became a certified diver, enjoyed riding his Harley, travelling and was eager to play a game of cribbage with anyone who walked through the door. Carl spent many hours guiding people throughout the Black Hills. He used his uncanny knowledge and sense of direction to show people all those beautiful, unseen and not commonly found locations, such as a pond near the Wyoming border where mudpuppies live. If allowed, Carl would bring home pretty rocks from all the places he visited, most of which he displayed around the house. Carl worked various jobs until 1988 when he and Loretta bought and operated Mountain Meadow Resort at Deerfield Lake and then the Continental Café in Hill City, now the Slate Creek. He also spent time developing home-site properties. After “retiring” in 2011, Carl enjoyed beautifying people’s yards and helping the community through his membership in the Lion’s Club. Carl’s last act of kindness was to donate his corneas. Carl is survived by Loretta, his wife of 41 years, children, Daren, Rochelle and ReNee, three grandchildren, his siblings, Christine, Chuck and Pat and multiple nieces and nephews. Carl was preceded in death by his and Loretta’s son, Erin, brother Mike, a granddaughter and his parents. Carl’s smile, laugh and big heart will be greatly missed by all the many friends he met along the way and especially by his family.